*broke - The Thing in the Spring! The next Broke Arts Fair will take place on June 8th, 2019 at Town Hall (1 Grove St, Peterborough NH) from 10-4pm. It's FREE, all ages, and open to the public. We hope to see you there! 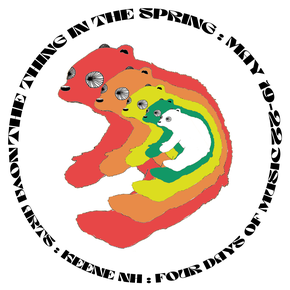 The Broke Arts Fair is a multidisciplinary arts event that began in Peterborough, NH in 2008. The Broke Arts Fair philosophy is simple: art is for everybody. All Broke events are free to the public, and vendors commit to presenting ALL of their products for less than $50. You can expect to see a wide array of artworks and wares. We love giving people the opportunity to buy artwork directly from the fine people who made it. Applications for our June 8th event are currently under review. All applicants will be notified of their status by April 10, 2019. All applications are reviewed by a jury comprised of members of our all-volunteer Board of Directors as well as a rotating community member. We offer two table sizes: Full (8ft, $70) or Half (4ft, $35).